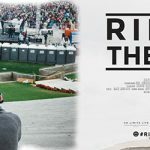 On May 6, the MuSA space will be the scene for the first projection of the documentary film “RIDING THE WAVE”, shot in Los Angeles, California, produced by David Vision in collaboration with the American Association “The Call”. The documentary draws inspiration from the history of the Azusa Street Movement, which originated at the beginning of the last century and which indefinitely and radically influenced the society of the time, with the first real break in the racial division between whites and Blacks in the United States of America, inspired by Martin Luther King too. The plot of the documentary tells the travel of director Marco Ricci, along with some friends across California. Together they aim to reach the place where the event organized for the 110th anniversary of Azuza Street was held, which saw the involvement of 100,000 people and stories of people living from all over the world who have Animated and lived. The Red Carpet will begin an hour before each projection.